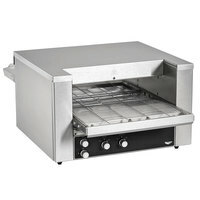 If you own a pizzeria or fast food establishment, considering using conveyor ovens in your establishment to bake pizzas and toast sandwiches. 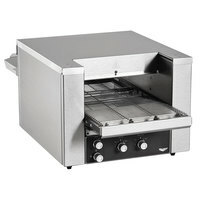 These products are designed with a conveyor system that slowly pulls food through the oven, ensuring that your food cooks evenly without overbaking. 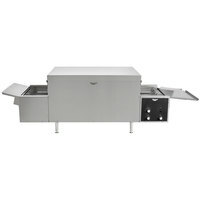 Additionally, with conveyor ovens, there’s no need to rotate your pizzas to ensure even cooking. Plus, because the conveyor is constantly moving, you can keep loading pizzas and increase your production. 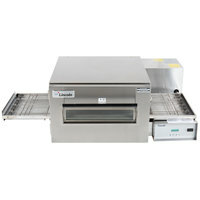 For businesses that need more than one oven but have a limited amount of space, there are several options that are stackable. 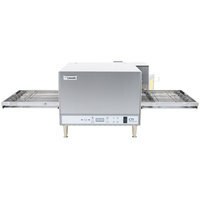 Additionally, you can choose from low output ovens that are ideal for convenience stores as well as high output models for high-volume catering companies. 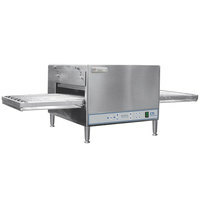 Additionally, we offer conveyor ovens that work with electricity, gas, and liquid propane, making it easy to find an option that meets your business’s needs. 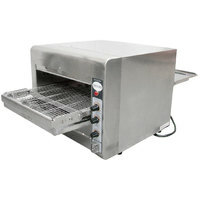 In addition to traditional radiant conveyor ovens, our selection includes impinger ovens. 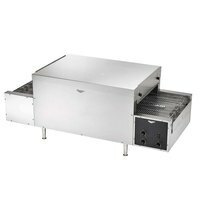 <h2>What Is an Impinger Oven?</h2> Impinger ovens use blasts of hot air to blow away the cold air that naturally surrounds a cold food product. 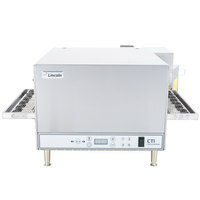 This helps bring the heated air into direct contact with the food product, ensuring even baking and rapid heat transfer. As a result, impinger ovens can reduce baking time by 20% to 25% compared to other options.